Turn your alumni memories into a beautiful montage that will last as long as they do. We make high-quality, multi-image montages of your most cherished memories from school, then ship them right to your door. And for every purchase you make, a portion of the proceeds goes to your beloved alma mater to benefit student and alumni programs for years to come. Just choose your school, montage size, and design to start. Then select from our library of professional-quality photos from around your campus, or upload your own. Pick a frame and finish, and within less than a week, you will have a personalized photo montage that commemorates your journey exactly the way you remember it. School may be over, but your memories will last a lifetime. Our products are built to last, and are held to the highest standards of quality and design. We use real wooden frames with magnificent finishes and shatter-resistant acrylic that protects your images from harmful UV rays. Our photos represent a wide variety of buildings, landscapes, and other iconic images from campus that let you relive those magical moments every time you see your montage. You’ll want to mount your montage with pride somewhere highly visible, such as over a fireplace mantle or in a prominent spot in your home office or bedroom. Friends and fellow alums will be continually amazed at the beautiful yet powerful reminder you’ve designed that will forever celebrate such an important time in your life. Choose from among several sizes and designs to craft your perfect multi-image montage—the one that immortalizes your experiences the way that you want it to. It’s the perfect gift for a recent graduate, an alumni returning for a reunion, or anyone else who wants to commemorate this special time in their lives. Become an Alumni Memories partner and offer your students, alumni, faculty, and fans the chance to design unique photo montages of your school or institution. As an Alumni Member Partner, you’ll be strengthening the bonds of loyalty and devotion your graduates feel towards their alma mater as well as adding a powerful new way for your extended community to interact with and support your school. In addition, you’ll have an opportunity to earn additional revenue for your school with every purchase made that features your institution. Contact Alumni Memories to learn more about our Partner Program. 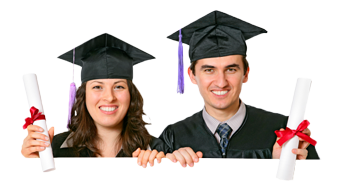 Click here or call 1-877-915-9915 or email us at (info@alumnimemories.com). We can’t wait to hear from you! Shipping Waived on all orders through December 31st, 2015! Design your very own 100% personalized Alumni Memories framed photo montage print and enjoy free shipping throughout all of 2015! 4 Help us spread the news! If you have memories of late nights at Bobby Dodd Stadium, the first falling leaves of a Georgia autumn, and that ever-present whistle echoing across campus from Tech Tower, then you’ve been to the Georgia Institute of Technology. Built to be the South’s first public technical school in the era of post-Civil War Reconstruction, Georgia Tech consistently produces some of the world’s most brilliant engineers, architects, and scientists. Taking that walk down Tech Pkwy on the way to a season opener always felt good when you were there. Let Alumni Memories take you back to that time and place with a beautiful montage from Georgia Tech. "Thank you soooo much for helping my find the absolute perfect graduation gift for my grandson. He was graduating from college in less than a month and I had no idea what to get him. A friend told me about your website and I immediately knew this was the gift for him. Sure enough, he told me he had a great time designing a customized photo montage of the college he loves. He also told me he’s going to hang his Alumni Memories montage above his fireplace – the minute he moves into a house with a fireplace that is… ha, ha! Until then, it’s prominently displayed above his desk in his apartment. Thanks again for helping me find just the right gift for my favorite grandson." "We love this product! We needed a special gift to honor Mike, our outgoing fraternity alumni advisor. He’d done an amazing job helping us raise alumni funds to renovate and expand our fraternity, and the entire brotherhood wanted to get him a gift that would really convey our gratitude for all his hard work and devotion to the House. Thanks to his wife, we were able to get our hands on some old photos of Mike graduating from college “back in the day,” as he is fond of saying. We combined two great photos – one of Mike with his family on the day he graduated and another hilarious group shot of Mike with 5 or 6 of his fraternity brothers – with a fantastic shot of our fraternity and several spots around campus that we found on your website. The result was a truly one-of-a-kind gift that blew Mike away when we presented it to him. I think he was speechless for the first time in his life – at least that what his wife tells us. Thanks!" “Thank you for helping me buy the perfect anniversary gift for the man who thought he owned every collegiate collectible ever offered for sale from his beloved school. When I presented him with a personalized photo montage from your site – which I designed with my son who also attends the same university his dad attended - he went wild.